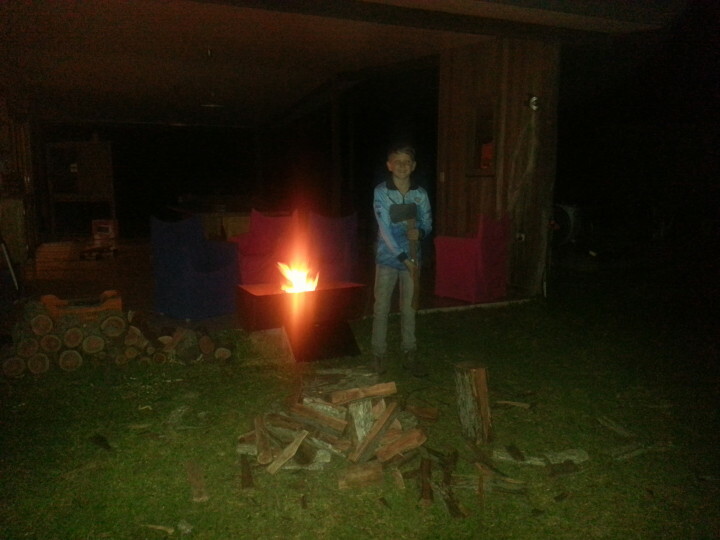 Cool winter nights in the mountains mean chopping firewood for our guests, especially our locals who are not used to cold weather and love the opportunity to cosy up in our private retreats by a log fire. There’s no shortage of chopped firewood as our youngest family helper has now learned to use the axe with precision, seen here having chopped up a whole trailer load of beautiful hardwood. The stunning clear starlit skies at night have meant a return to cooler evenings and therefore any excuse to light up and enjoy the warmth and glow of a fire. Probably not too long before the fire will give way to the fan but it’s always good to make the most of the cool weather before summer takes its hold. Julatten’s tropical climate, considered in the top 10 worldwide, is very hard to beat and we love it! !